Usually makeup artists will come to you for a wedding. Prices vary pretty widely - you can probably find someone inexpensive-ish by going to a local makeup school, and it's also easy to spend more than $100 per person. I'm getting married very soon, and I am going to do my own makeup - I've done some trial runs & taken photos, so I feel comfortable with it! I looked into hiring someone to do my makeup and found most prices weren't in the budget, but I did have some quality makeup already in my collection. After practicing I felt very comfortable with doing my own makeup and ended up feeling better knowing that I will still look like myself and I won't have to worry about an artist making my look to extreme! Best of luck & check out my video if you need a little inspiration. I got married in May, and opted to do my own makeup. Several years ago I actually worked as a makeup artist and pondered hiring an old colleague of mine but after two trial runs on my own I went with doing it myself. However, there are plenty of makeup artists out there - although I highly suggest getting a trial if you can (most charge for it, but not all). While you mentioned you've been to mall counters for makeup I do want to say that some of those people are makeup artists who you could hire (it's where my old colleague and I met, then we both ended up doing freelance). You might find a makeup artist at a bridal show, just google searching (your city + makeup artist), finding one at a salon, or even checking on Craig's List. If you have any friends who have gotten married near where you will be, you could check with them (if their makeup looked good and held up!). As for if you need to go to them or they come to you, it varies. Some will come to you, others have you go to them (more common if it's a salon). When I did freelance, I would go to people where ever they wanted me (although worth noting if you're getting your hair done at a salon, not a lot of salons let me go there - so I had to meet up with the bridal party elsewhere. Lots of people get ready at their hotel). I didn't charge if they were within so many miles of me,and from there I had a fee (common b/c at least 25% of my clients I had to charge for. typically I didn't have to drive more than an hour or two). As for price... dang. It varies wildly! It depends on many factors - where you live, experience of teh person doing it, how many people you have them doing makeup for (i typically cut them a break if I was doing several people vs just the bride), etc. Most makeup artists I know charge more for teh bride (but that's b/c you want them to be more of a perfectionist with your makeup, they typically spend more time on the bride, and bride includes a trial) - most people I know charge $75-150 for a bride. Many charge more for airbrush, but some keep it the same. Usually makeup artists will come to you for a wedding. But if you hire Makeup freelancer then you have to go to their where they wanted you. I think nothing beats doing your own make-up, wedding or not. Nobody knows your face better than you. Besides, the make-up you put on is supposed to simply enhance your natural beauty and charm. Go with what has worked for you before. I would like to suggest Makeup is give you unique look. you can do makeup your own . you know which color is suit you. so do your own. I did my own makeup, and while it ended up costing a small fortune in products (since it was all trial and error), I would do it all over in a heartbeat. In the end my makeup worked wonderfully and I am now pretty much a pro at working with my own facial features, as well as the proud owner of a huge collection of varietal makeup! I am a makeup artist and i here are some steps for you to help you with your special day. Also you can use any type of makeup that you like and since you say you have oily skin, grab the makeup that helps fight oily skin. Your every blush, smile and kiss will be recorded on film, so your bridal makeup needs to be picture perfect. It should cover any imperfections and highlight your features, while appearing subtle and pretty. Venue and event time play key roles; you'll want to adjust your makeup for day or evening and for indoor or outdoor lighting. 1. Flip through bridal magazines and search for pictures that capture your ideal bridal look. Keep these pictures on hand for guidance. 2. Consider having your makeup done professionally. If you decide to do it yourself, have a free professional makeover before the wedding and ask for detailed instructions on how to achieve your desired look. 3. Choose the most lightweight foundation possible while still getting the coverage you need because heavier foundations will look more obvious. 4. Wear waterproof eye makeup so that tears of joy or the heat of summer don't make for streaks or smears. 5. Use various shades of shadow to add definition to your eyes, then add a hit of liner for drama. Resist the temptation to go for bold lines, bright colors or glitter, unless that's your usual look. 6. Curl lashes for length and definition but skip the false eyelashes. You don't want to risk having them peel off or rotate throughout the day. 7. Stick to a soft and delicate tone for lipstick, as bold or dark colors might be overpowering. Remember to match the hues in your blush to those in your lipstick. 8. Contour your face with blush or bronzer, even if it's not part of your daily routine. It will give your skin a healthy glow and subtly define your features. Pluck your eyebrows or have them waxed the day before your wedding. If you or a makeup artist play with them the morning of the wedding, they might appear red or blotchy in your pictures. Consider a lipstick that has staying power. All those kisses and sips of Champagne will leave you little time to reapply. Opt for a foundation that contains sunscreen if you plan to have an outdoor wedding. Or go for the natural look. Make sure u do a mask 1 a week. Keep it mositurerized. I am getting married in September and I am having a good friend do my makeup. I have a pretty good makeup collection anyway, so I am really paying for her skills. If you find someone to do your makeup, see if you can do test runs to find what looks suit you and the theme of your wedding. Yes, am also agree with your professional makeup tips.keep posting. Thanks so much for these tips! I'm getting married next year and can't decide if I want to hire a professional or do it myself. Maybe I'll practice a little first knowing this and see what I can come up with. I'm getting married in December and I wanted to do my own makeup. I'm not a professional but a dedicated amateur and have a nice collections of makeup cosmetics. However I'm not sure if that's enough? Will I need to buy any extras like a spray to preserve the makeup? It might be a stupid question, I've only seen it never used, don't even know a name. So maybe it's not such a budget option as I'm thinking? Congrats on getting married! I would go with waterproof mascara just in case of tears. There are makeup setting sprays you can use that will help your makeup to last longer. NYX, Elf and Urban Decay among other makeup brands have their versions of a setting spray. Hope this helps. I think doing it on your own is a great idea. I did my own because I wanted to be 100% comfortable with the look and not take the chance that a makeup artist's vision is not what I had in mind for my wedding day. 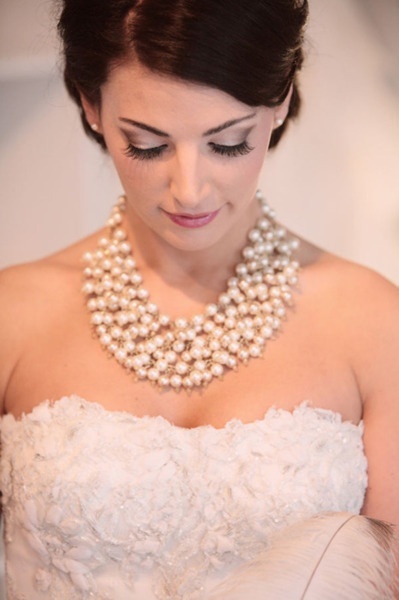 There are fabulous makeup artists who do wedding makeup every day and create gorgeous looks. I just wanted to do it my way, so I did. I was really happy with the results. I'm going to have mine done because my makeup application is always a tossup. Sometimes it turns out great and sometimes I just can't get it to work. I'm not going to chance it lol.